Water Wetter is a unique wetting agent for cooling systems which reduces coolant temperatures by as much as 30�F. This liquid product can be used to provide rust and corrosion protection in plain water for racing engines, which provides much better heat transfer properties than glycol-based antifreeze. Or it can be added to new or used antifreeze to improve the heat transfer of ethylene and propylene glycol systems. Designed for modern aluminum, cast iron, copper, brass, and bronze systems. We have been using RedLine Oil in our street cars and race cars for years. Hands-down, it is the Number One brand of high performance lubricant for BMWs. 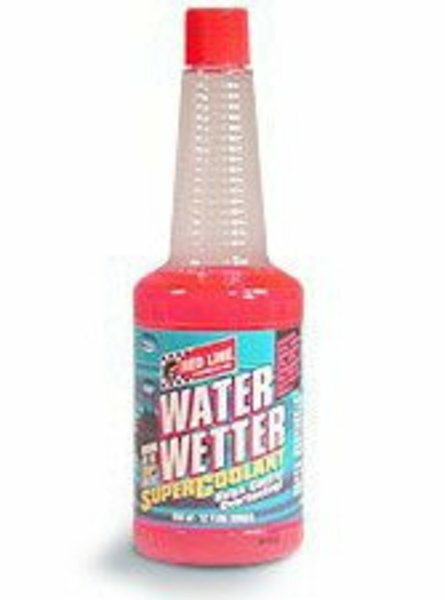 Water Wetter is a unique wetting agent for cooling systems which reduces coolant temperatures by as much as 30°F. 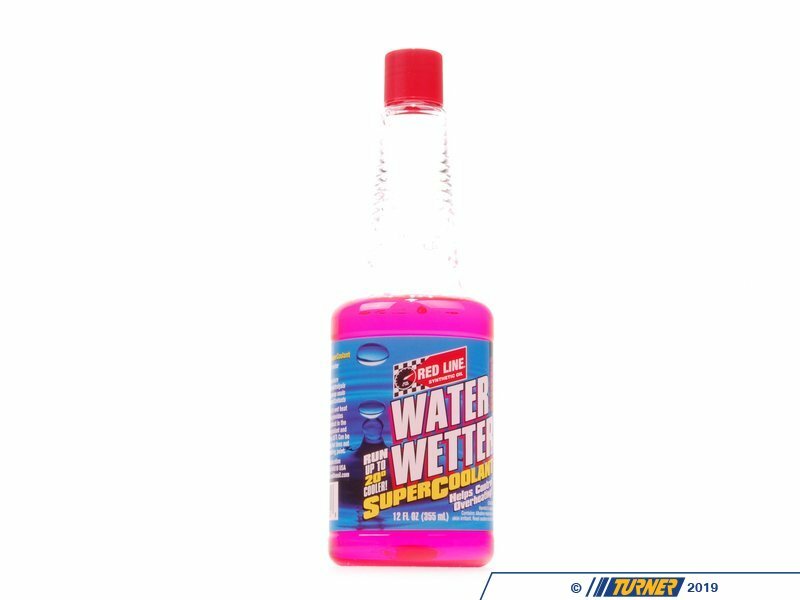 This liquid product can be used to provide rust and corrosion protection in plain water for racing engines, which provides much better heat transfer properties than glycol-based antifreeze. Or it can be added to new or used antifreeze to improve the heat transfer of ethylene and propylene glycol systems. Designed for modern aluminum, cast iron, copper, brass, and bronze systems.